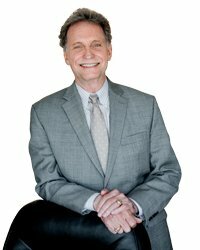 Randy Hughes, "Mr. Land Trust"
I have cracked the CODE of using Real Estate Trusts to hide and protect your asset. I started life out on the wrong side of the railroad tracks. My father was an alcoholic and my mother was left to raise four children on a clerk’s wages. None of my relatives owned their own business…everyone worked for wages. My father charged the weekly groceries so that the family would have food on the table. There was no stable income for any future education much less the current needs of the family. No intellectual or financial direction was taught in my schools or church. No blood relative had anything to offer other than “working for the man” at an hourly wage. Bank savings and financial security was what only the rich had. I was doomed for financial failure and unhappiness for the rest of my life. I knew that there MUST be a better way to live. I decided to break the cycle of poverty in my family genes. Education came first. I graduated from Eastern Illinois University and began buying single family homes for rental while in college. After college, I tried many different types of businesses, but always came back to the Single Family Home as the IDEAL investment. Since purchasing his first rental house in 1969, I have not looked back! Today, I have purchased over 200 houses. I have lived the life of having nothing and will not let that happen again. My primary goal now is to teach others how to break the cycle of poverty. I teach real estate investment courses throughout the United States. I have written Privacy and Asset Protection books as well as home study courses. 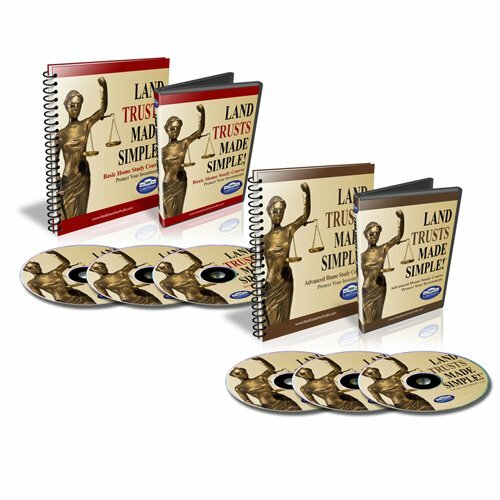 My most popular publications are the Land Trust Made Simple home study courses and live seminars. I have written extensively for local and national real estate publications. I have taught real estate classes at the University of Illinois, Parkland College and Elgin Community College. I have been a licensed Continuing Education Instructor for the Illinois Association of Realtors for 20 years. I also speak to real estate investment clubs throughout the United States. I teach classes on how to protect your assets and how to become more private with your personal life. I also teach how to understand land trust law and administration from an investors point-of-view. I author the only Land Trust Newsletter and Blog in the country and founded the Land Trust University. I am an Expert Author for EzineArticles.com, REIClub.com and a faculty member for Lorman Education Services in Eau Claire, WI. I also advise and contributor to Jeffry Taylor’s "Mr. Landlord Newsletter" and Website.